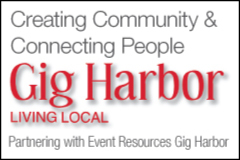 Does Event Resources Gig Harbor charge to use the site? Believe it or not, it is free to use. ERGH will save you time trying to find an event in the area with our Event Calendar, find a venue, service or entertainer for your own DYI event. Now you can find everything you need in one location for the Gig Harbor area. What types of Event Locations are listed on Event Resources Gig Harbor? Our goal is to have everyone in the Gig Harbor area that has any space to use or to rent on this website. That includes multipurpose locations, free locations and those hidden treasures that few know about. How current is the information provided on the directories? Each year the paid listings are renewed and asked to review and edit the information provided. We strongly recommend that you schedule an appointment with the facility coordinator and view the space prior to placing a deposit. How do I book with the Event Location? You contact the facility directly using the contact information provided. Book using the facility’s website. How will I know the quality of the services being advertised? Event Resources Gig Harbor is not responsible for the quality, actions and accuracy of the content for each business. We have included a rating/ comment system on each listing that could assist you. Reviews are not automatically posted, they are screened for obscenity and slanderous statement. All efforts will be made to try to resolve negative comments prior to publishing. If I am a business located in another region can I be on ERGH? Yes, only Event Locations and Organizations must reside in the area, Event Businesses and Entertainers must agree they will service the defined area (Gig Harbor, Key Peninsula and Pt. Orchard), and must commute to the event. Addition travel charges may apply so be sure to check. Must the event I list on the Event Calendar be in Gig Harbor? The listing are screened before publishing. Events will be accepted for the local area and the Tacoma area.